Law enforcement officer is one of the most honorable professions one can choose. It is not a job that anyone can do. It requires hours upon hours of rigorous physical and mental training. 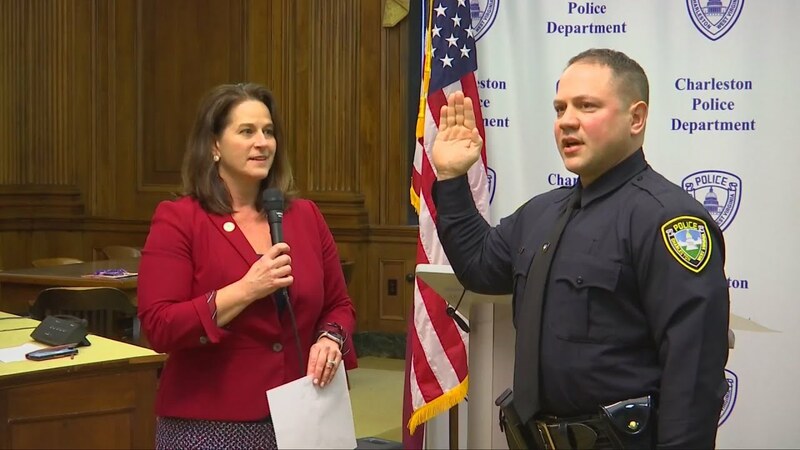 To commit to being a law enforcement officer requires dedication and sacrifice. The job sometimes requires working long hours, working holidays and missing family events. Many times officers have to work past their scheduled quitting time. There is no clocking out and going home before your call for service is completed. We are nearing the end of our current hiring list and are preparing to develop a new one. Please feel free to encourage any and all persons who you believe would make a good CPD officer to apply and take the tests. One might ask why anybody would be interested in a profession that demands so much. The rewards far outweigh the demands. Saving lives, recovering property, finding lost children, and building relationships are just a few of the rewards of being a police officer. Of course there are monetary benefits such as healthcare coverage, vacation days, sick leave, and a retirement plan, but the real benefit of being a police officer comes from the satisfaction of fulfilling your internal drive to serve others. Most people do not have it within themselves to serve and sacrifice for total strangers. Those who do gravitate toward the military and/or the emergency services professions. If you are interested in becoming a Charleston Police Officer give us a call. We will provide you information about our hiring procedures and testing requirements. You can fill out our online application if you wish to be considered for our next hiring phase. Thank you for your interest in the Charleston Police Department. Education: A High School Diploma or equivalent. All applicants who are employed must complete a Basic Police Officer Academy Class (Salary is received during training.). 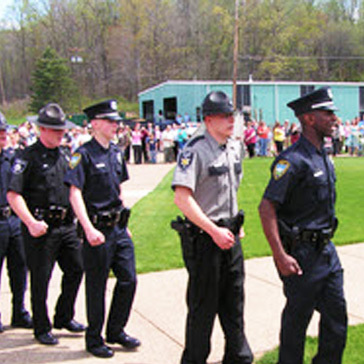 Normally the class is held at the West Virginia State Police Academy, Institute, WV. It is approximately 15 weeks in length. After completing the academy training the officer attends Orientation Training and is placed in the Field Training Program. Age Requirements: Applicants must be 18 to 40 years of age. Physical Ability Test: The Charleston Police Department Civil Service Commission conducts a physical ability examination for applicants. The ability test consists of total push ups within one minute; total bent-leg sit-ups within one minute; and a 1.5 mile run. The Charleston Police Department Civil Service Commission requires applicants to be able to run 1.5 miles in at least 14 minutes and 36 seconds. Additional Testing: After applicant has been placed on the Civil Service List they are subject to the following: Background Investigation with oral interview and fingerprint check; Driver Record check; Criminal history check; Employment history; Neighborhood check; Polygraph exam; Psychological screening; Physical and Medical exam. Thank you for your interest in the Charleston Police Department.